J-Con will feature the annual Cosplay contest for all you fans of making and dressing up as your favorite characters from anime, film and cult media! Anime & Manga: Japanese, Chinese Or Korean Anime (Both films & T.V.) or Manga. Video Gaming: Any character from a video game. Western Film & TV: Any character from English/non-Japanese speaking Film or TV . Original Concept Characters: Something you have invented yourself. If your cosplay fits more than one category, pick the best suited one. 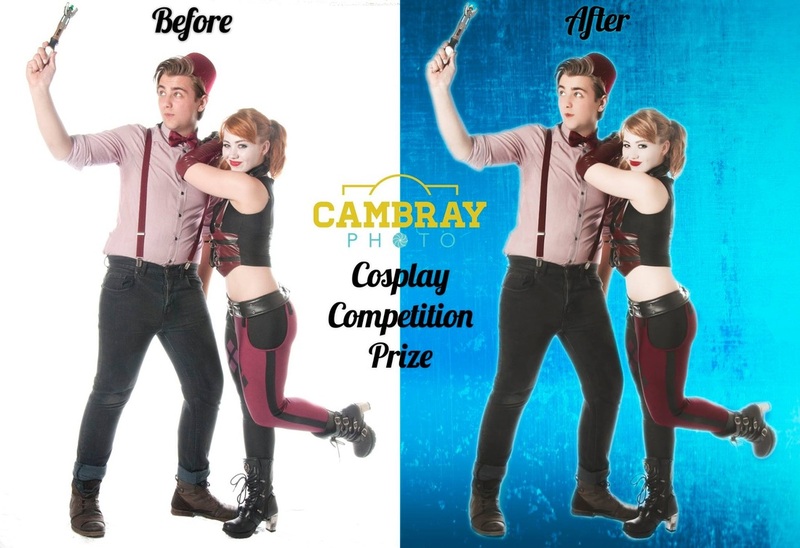 Each winner will receive a Trophy & a Goody Bag from www.colouredcontacts.com, as well as a voucher for a free pair of Cosplay Contact Lenses! The judges will then pick their Overall J-Con Cosplay Champion, who will win a photo session with Cambray Photos and this very amazing, (very expensive) J-Con Hamper full of all kinds of goodies, worth over £250! It includes everything from the full Death Note anime series to Vol 1. Manga of FairyTail, Tokyo Ghoul Re: and Black Butler to selection of Japanese Snacks to a Spirited Away Diorama! *You can only submit an entry form once. DO NOT SUBMIT YOUR ENTRY UNTIL YOU ARE 100% SURE OF YOUR COSPLAY CHOICE. * You may enter on your own or as a group. If you enter as a group, please say so somewhere on the entry form. * You may request your own music to play in the background. If you do not, music will automatically be playing instead. * Each Participant gets no longer than 2 minutes on stage. You may use this time to demonstrate your cosplay however you wish, from a simple catwalk, to a dance, pose etc. * Your outfit must not be purchased. It cannot be ready made. "The outfit must be significantly hand made by the person entering or people they know. It must show significant customization in all areas." ONLY ENTER YOUR COSPLAY ONCE YOU HAVE DECIDED ON YOUR FINAL DESIGN AND YOU HAVE PURCHASED A J-CON TICKET! YOU CANNOT CHANGE YOUR ENTRY ONCE YOU HAVE ENTERED!